Randy Dann is a partner in the Environmental Group of Davis Graham & Stubbs LLP, where his practice focuses on complex environmental litigation and enforcement, transactions, permitting and regulatory compliance, and site remediation. Mr. Dann regularly counsels clients in the oil and gas, energy, mining, and other natural resources industries on compliance and regulatory issues under federal and state environmental laws. He has experience in a wide variety of matters governed by the Clean Air Act, CERCLA, the Clean Water Act, RCRA, and similar state environmental laws. 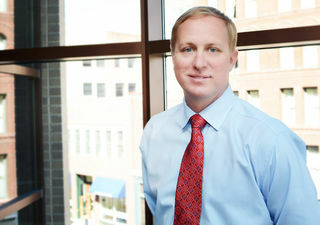 He has represented clients in both federal and state litigation, including CERCLA cost recovery and contribution actions. In particular, Mr. Dann is a leader in the field of air quality and climate change regulation and enforcement issues facing the energy and natural resources industries in Colorado and across the country. Mr. Dann routinely represents clients in air quality enforcement actions brought by EPA and various state agencies, and has significant experience representing energy clients before the Colorado Air Quality Control Commission and in other federal and state rulemaking proceedings. Additionally, he plays a prominent role in developing air quality and climate change policy for various oil and gas trade associations. Mr. Dann serves as a vice chair on the American Bar Association’s (ABA) Air Quality Committee and is a regular contributor to the Rocky Mountain Mineral Law Foundation Newsletter. Mr. Dann also writes and speaks on various environmental topics, including air quality and climate change issues facing the energy and natural resources industries. Represents an oil and gas trade association in discussions with a state agency regarding the implementation of significant new air quality regulations. Represented oil and gas operators in major air quality rulemaking before the Colorado Air Quality Control Commission regarding the regulation of methane emissions from oil and gas operations. Represents energy clients in enforcement actions brought by the Colorado Air Pollution Control Division regarding alleged violations of air quality laws and regulations. Represented an energy client in rulemaking before the Air Quality Control Commission regarding stationary internal combustion engine exemptions and requirements. Represented an agricultural client in negotiations with the EPA regarding alleged Clean Air Act Risk Management Program violations. Represented an energy client in air quality permit appeal before the Pennsylvania Environmental Appeals Board. Assisted a client in developing an air quality permitting strategy for operations on state and tribal lands. Represented an energy client in rulemaking before the Colorado Oil and Gas Conservation Commission regarding hydraulic fracturing disclosure requirements. Represented an energy client in rulemaking before the Colorado Water Quality Control Commission regarding revisions to water quality standards and classifications. Represented a mining client in negotiations with the Colorado Water Quality Control Division regarding alleged discharge permit violations. Represented clients in cleanup activities under CERCLA and state voluntary remediation programs. Represented clients in major environmental litigation defense, including citizen suits under the Clean Water Act and RCRA and cost-recovery and contribution actions under CERCLA.